“It’s time for the good times”, how true. In times like these, characterised as they are by catastrophes, war and crises of various kinds, it is often only good music that can keep us going and help us not to despair. Music that energizes, and, free from cynicism, holds up for us what is beautiful in life. 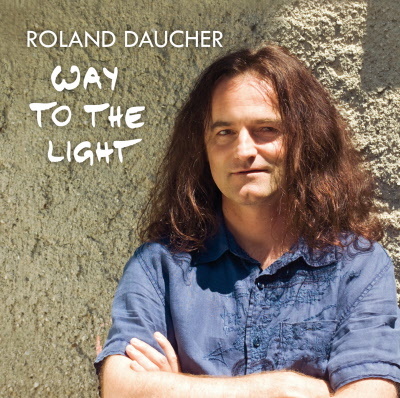 “Way to the Light“, Roland Daucher’s debut album has all this to offer and much more. The eleven songs go their own musical way and surprise with their delicately woven sonic pattern of rock-pop-jazz-blues-latin . With “Way to the Light” the singer and guitarist, who wrote all the music and lyrics himself, offers us an album with a solid groove and with songs that could easily become good friends. Once you have got to know them, you will not tire of listening to them again and again. 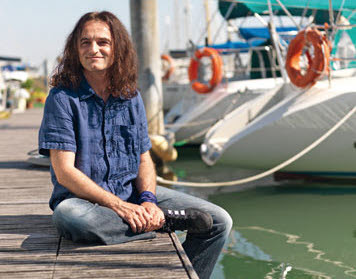 The album opens with „Good Times“, a song that soars to great heights thanks to the groove, characteristic melody and innovative style of Harri Stojka. “This feeling of flight” is also the essence of track number two, called “Natural Woman” and with the next song, the band shows their versatility and virtuosity when they pay homage to good old swing on their way to the light. 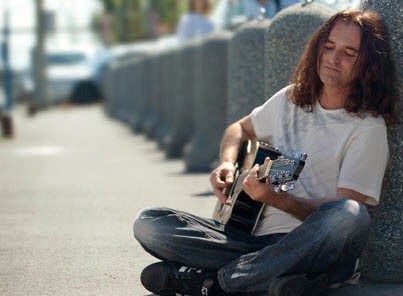 Energy grows – love gives you the power – also in the next song, “Angel Coming”. Here we hear a more quiet side of Roland on acoustic guitar, until in the song “Difference” Mr. Stojka leaves us breathless with an amazing guitar solo.